Each of our automatic tablet testing systems includes standard accessories for calibration with weights and gauge blocks. 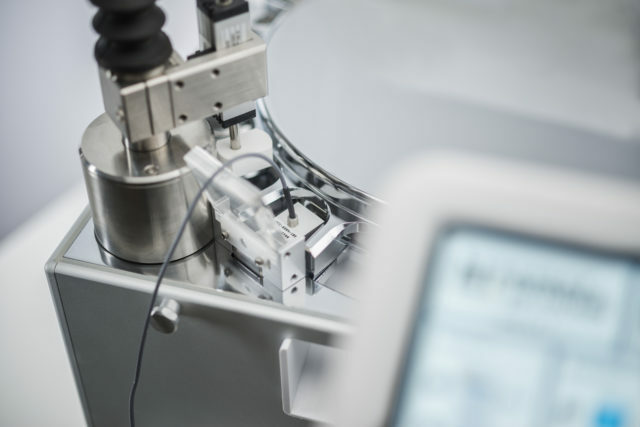 The load cells in our tablet hardness testers have demonstrable, outstanding consistency and linearity. Weights of up to 40 kg would have to be used to ensure comprehensive calibration. This is impractical and risky. 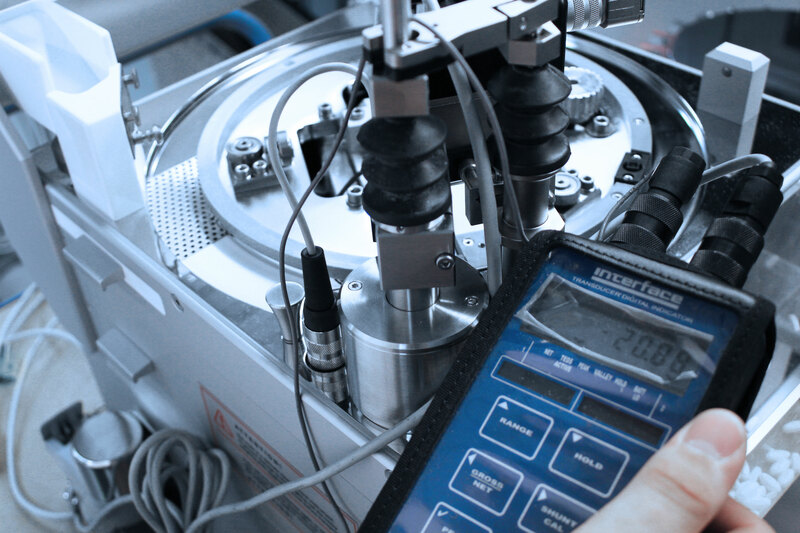 We recommend dynamic calibration for a comprehensive calibration process. 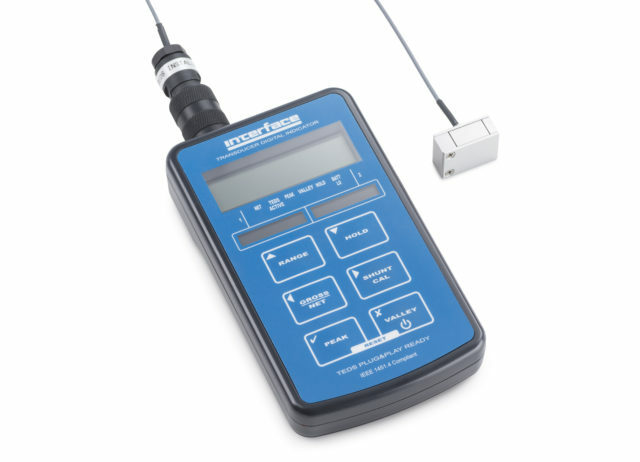 The dynamic calibration device proofs the perfect linearity through out the whole measurement range and generates a printed calibration report. During the dynamic calibration process, the hardness measuring station approaches the predefined number of measuring points dynamically. The software records the measurement results of the testing device and compares them with the reference load cell. At the end, a calibration report can be printed out. 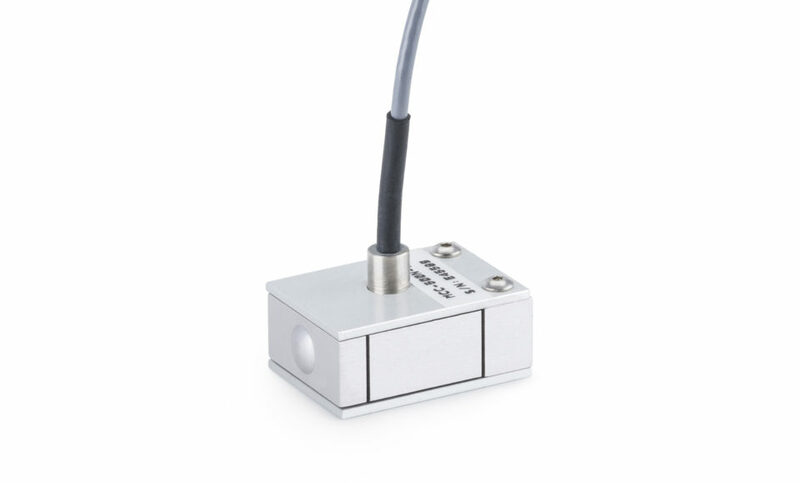 For the calibration, the load cell (sensor) is inserted into the hardness test station.